But that does not mean the Chinese don’t appreciate their space. They seek it out in all sorts of ways and at different times of the day. In Xian I was in the habit of getting out as early as I sensibly could, to walk around the old Muslim quarter, eating their doughy breakfasts with them and wandering through Lianhu Park as they went through their exercise rituals. One morning I heard the clear, haunting sound of a flute carrying across the park and initially assumed it was being piped across a sound system. But as I walked around the lake I realised the sound was coming from a bushy knoll. When I climbed through the bushes and across a handful of rocks I found this flautist (I think that is what he is) playing his music. In his own space. A few like me had come to investigate the sound, and a couple sat and tapped along, keeping time with their feet. Everyone else ignored him and he had his own place and space in the middle of one of the most ancient and well lived-in cities on the planet. It was a magic time and place for me as well. Here he is in the video, lost in his own music and creating a special place for the rest of us in the park and under the bushes on the knoll. At the end of the piece (I regret not filming more of it) he signed to me that the music was about a train – I fancy the sound of a horn can be heard in there somewhere. Travel in China is all about these special moments. In the spirit of the craziness that can come out of China, witting or otherwise (movie titles and packing instructions) the following is hillarious. 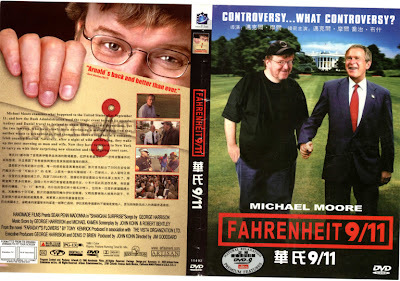 At first glance this DVD cover looks pretty normal. But take a close look at the back cover. The pirate graphics specialist has grabbed text from a variety of places to compile the back cover. Reference to “Arnold” (“back better than ever”) to start with – I can only guess this refers to the Californian Governator. In the text we start with reference to Michael’s movie but it soon morphs into a review of “Laws of Attraction” and the credits are nicked from “Shanghai Surprise”. All those English characters look alike so it kind of makes sense. The brazen plagiarism is breathtaking but the publish and be damned approach underpins some of the humour in this. Of course the irony of the “What Controvosy?” header would be lost on the pirates. And no, don’t ask me where I got my hands on this DVD but thanks JP for bringing it to my attention. (Clicking on the image should get you a better view).